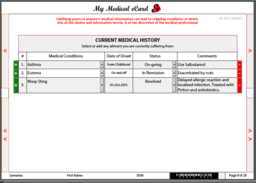 'My Medical eCard' - A Digitial Health Records Organizer How would you like to have all your medical records in one easily, accessible device? 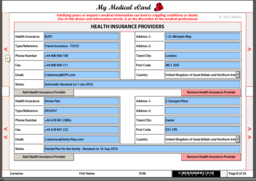 How would you like to have control over your health records? 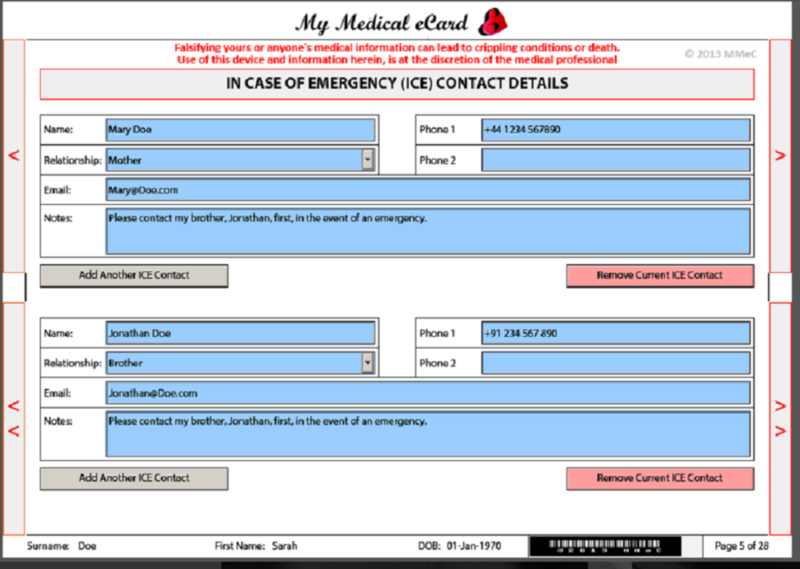 'My Medical eCard' is a new concept of a personal digital health passport. It is a user-oriented, portable, standalone, credit card shaped USB device in which you can maintain your personal medical and health diary. 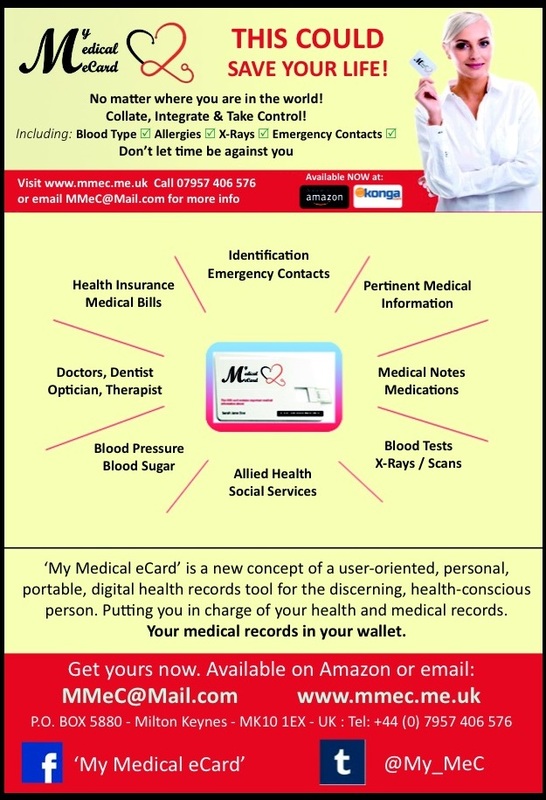 A device in which you can integrate ALL your medical records and activity for easy accessibility from one point. A tool with which you can record and organize your health footprints. 'My Medical eCard' offers a great opportunity to maintain a comprehensive integrated set of your medical records and your personal health journey. 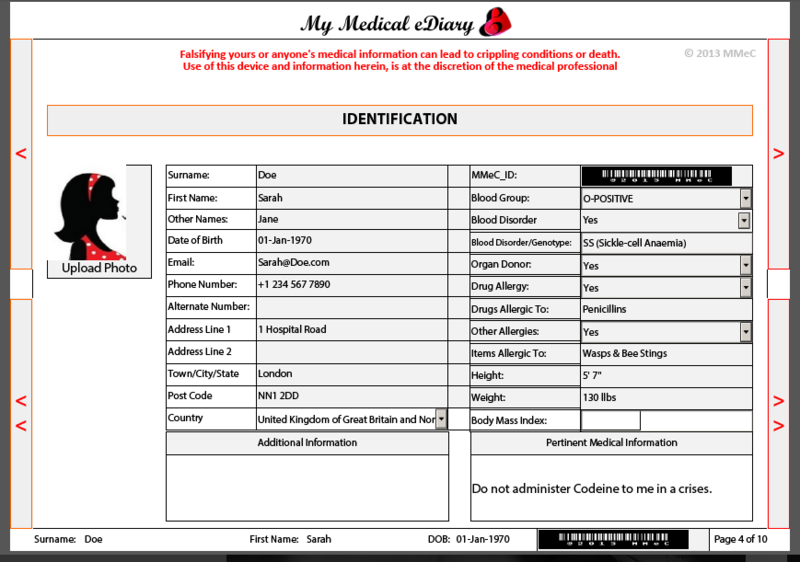 You can record, update and maintain your medical, dental, optical, allied health history, medications, tests, results, blood pressure, blood sugar logs, medical devices, medical bills, medico-legal directives and lots of other pertinent medication information on your device. 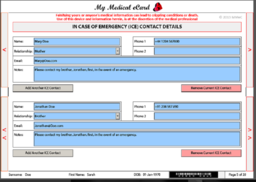 'My Medical eCard' is very easy to use. 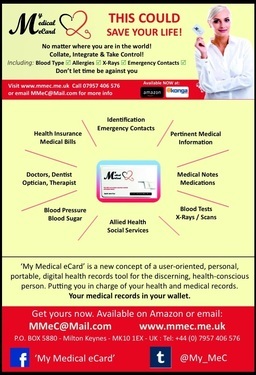 Learn more from 'My Medical eCard_Infographics'. 'My Medical eCard' puts you in charge of your health and medical records. 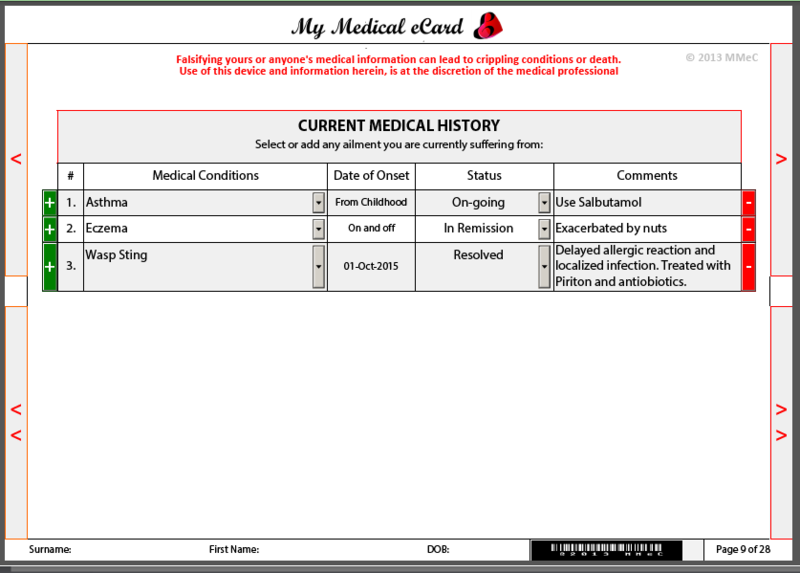 Your medical records in your wallet. Live Well - Age Well! 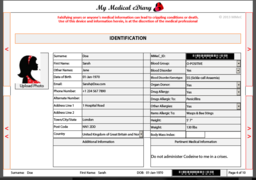 Testimonials are curated by My Medical e Card and are not independently reviewed or verified. 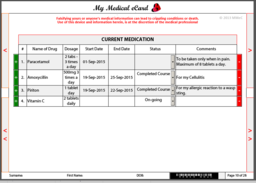 "I was gifted a Medical eCard by a friend because I take multiple medications of varying doses and can never remember what the names and dosages of my medications. Also, my medications and dosages change periodically. 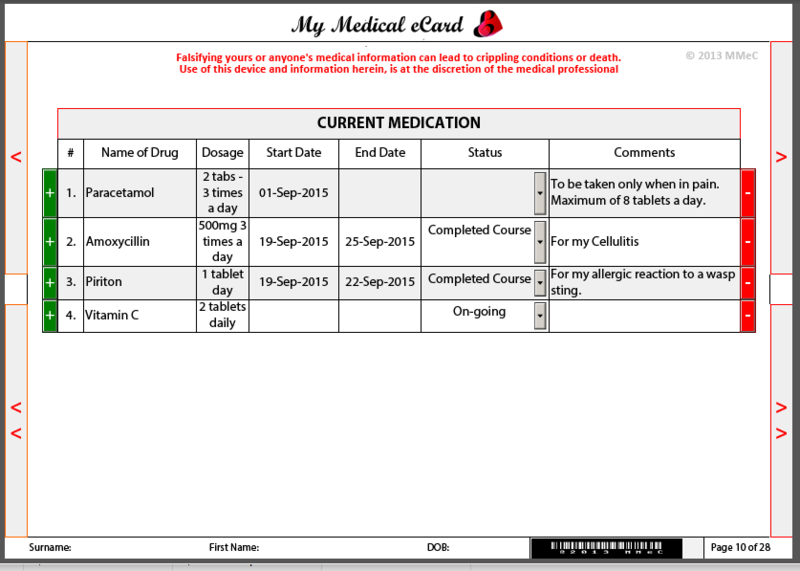 With My Medical eCard, I can keep a records of the medicines, the dosages, the start and end dates and reasons for the changes. 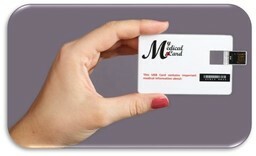 I travel a lot, so having my Medical eCard with my medical history on me at all times, is an asset."